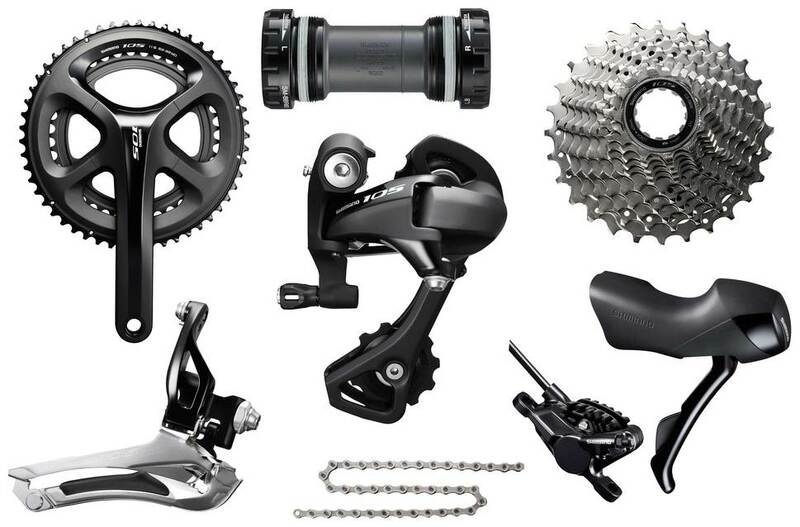 Click the button below to add the Shimano 105 5800 Disc Brake Groupset - 52/36 11/32 to your wish list. The 105 5800 Disc Brake Groupset from Shimano is now not only 11-Speed, but also comes ready for disc brakes. It features the drip down trickle of technology through Shimano's technological developments which means this group set now has slicker and smoother shifting thanks to it's Sil-Tec polymer treatment as well as more powerful braking capabilities. The groupset comes with hydraulic post style disc calipers and is supplied without disc rotors so you can choose your ideal one.